The photograph below was sent to one of our colleagues by Helen (also known as Nellie) of ‘a load of old rubbish’ that her father purchased recently at a car boot sale in Wales. The tools were terribly rusty at the time of purchase but her father was still ripped off to the tune of £60.00 for the lot. 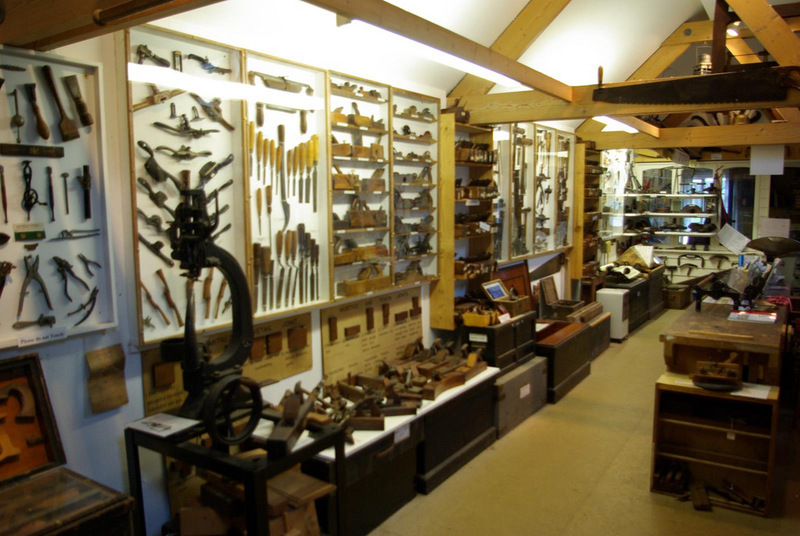 As you can see the Stanley plane looks nothing special and the saw is just a handle. 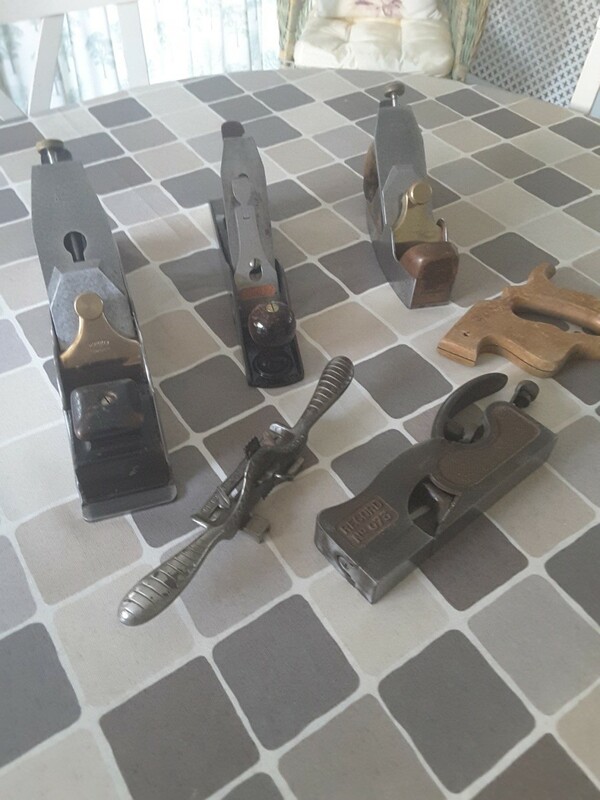 The Record rabbet plane and the spokeshave are alright I suppose but £60.00 for this lot???? Our colleague feels so aggrieved at the way Nellie’s father was ripped off that he plans to offer him £75.00 to take this rubbish off his hands! The other two planes have hardly been used and are by some lesser known maker called Norris. No bargains at the boot sales in Wales then.